The North Dakota Corn Utilization Council was organized in 1991 to utilize the North Dakota corn checkoff dollars implemented by North Dakota Century Code 4.1-04. There are seven Corn Council districts that each elect a member. Members must be North Dakota corn growers who have not asked for a corn check off assessment refund in the previous year. Members cannot serve more than two-four year consecutive terms. Annual Council meetings are required and quarterly meets are customarily held. Council Members receive a daily compensation plus reimbursements for expenses. 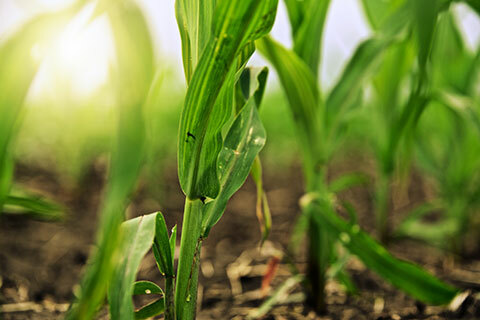 Corn assessment is at the rate of one-quarter of one percent (.0025%) of the value of a bushel of corn. All assessment monies shall be forwarded to the state treasurer for deposit in the corn fund. The Council administers the assessment collections and refunds. Determine the uses for which any monies raised under this Chapter may be expended. Uses may include the funding of research, education programs, and market development efforts, participation in programs under the auspices of other state, regional, national and international promotion groups. Council shall approve all expenditures made pursuant to this Chapter. Develop and disseminate information regarding the purpose of the corn assessment and ways in which corn assessment benefits corn producers.